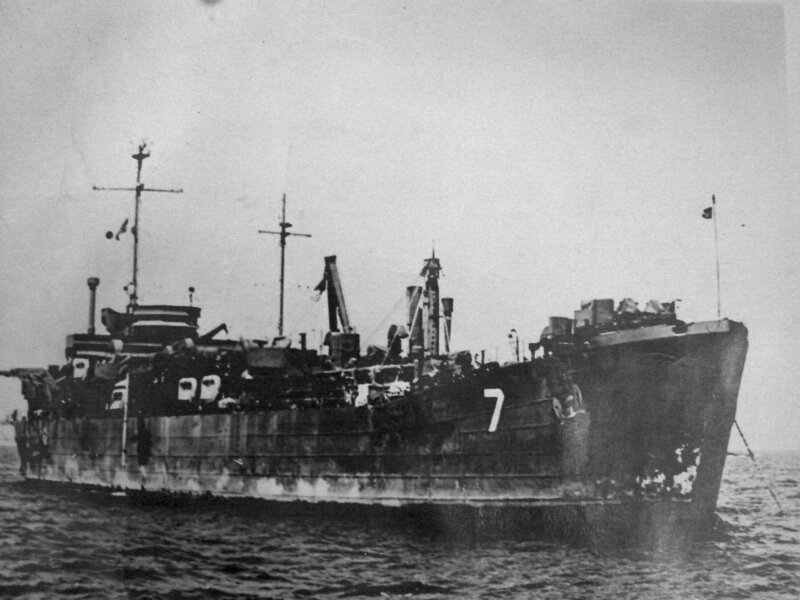 Laid down as LST-956, 11 July 1944, at Bethlehem Steel Co., Hingham, MA. Converted to an Aristaeus Class Battle Damage Repair Ship at Maryland Drydock Co., Baltimore, MD. 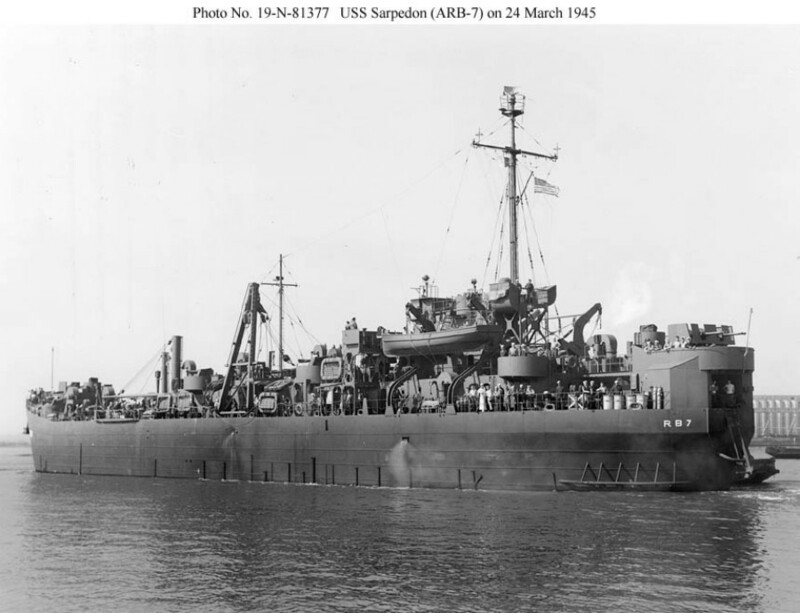 108k USS Sarpedon (ARB-7) underway near Baltimore, MD., 24 March 1945, after completion of conversion to a Battle Damage Repair Ship. 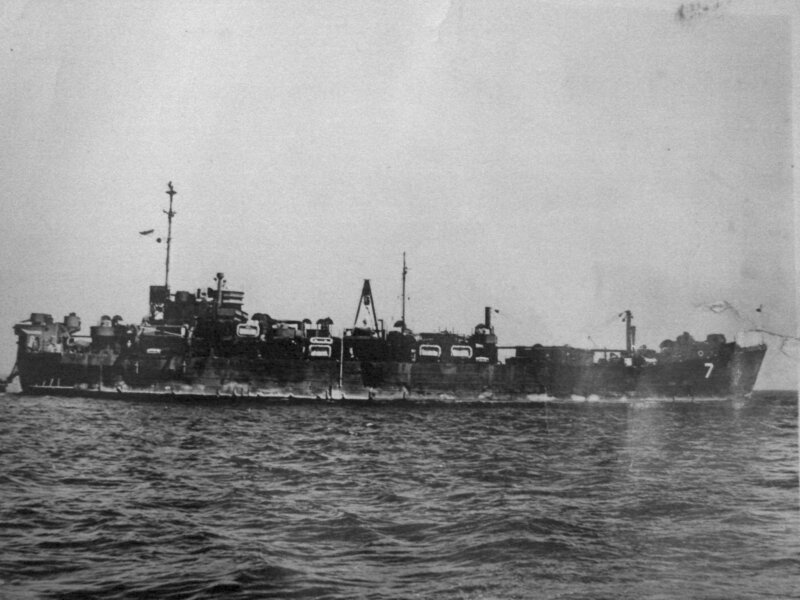 Beginning with this ship, the 3"/50 gun was eliminated and the after 40 mm quad mount was moved to the extreme stern. 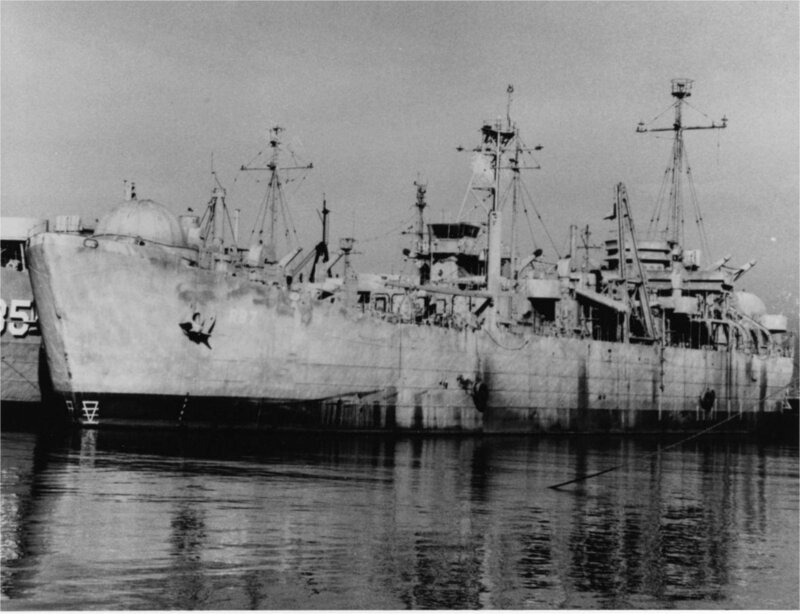 166k USS Sarpedon (ARB-7) laid up in the Pacific Reserve Fleet, San Diego CA., 29 January 1974.